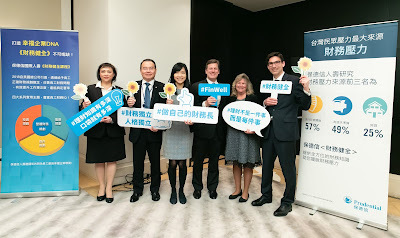 “Taiwan and Germany, both highly innovative, export-driven economies with many world market leaders, perfectly complement each other to offer world class Industry 4.0 solutions.” says German Trade Office Executive Director Axel Limberg. To give an opportunity for greater exchange in the industry, the German Trade Office Taipei will organize the third German Pavilion at Nangang Exhibition Hall, Hall 1, 1st floor. On a total area of over 530 m², 16 renowned German companies will be presenting the latest automation technologies and innovations. Our exhibitors are: Wago Contact (J318), Balluff (K310), Phoenix Contact (J218), Wittenstein (K208), Kärcher Limited Taiwan (J230), KTR (K306), Euchner GmbH + Co. KG (J332), Weidmüller (K302), GTW (J226), Gudel Lineartec Co., Ltd. (J425), Stober (J324), Burkert (K202), Harting (K301), Precitec Optronik (K206), DRF (J330), ChainHome Biotech (J328). Germany is home to one of the strongest robotics and automation industries in the world. At 301 robots to every 10.000 workers, Germany has the highest robot density in Europe and the fourth highest in the world. With the German government promoting the “Industry 4.0” strategy, German SMEs can leverage their engineering tradition, innovation and close ties between R&D clusters and industry applications to further strengthen Germany’s position as a global automation leader. “Made in Germany” continues to be a label of engineering excellence and precision for clients around the globe. In 2017, German robotics and automation solutions reached a record turnover of EUR 15.5 billion. The sector grew by 13 percent, surpassing industry forecasts. Forecasts for 2018 expect growth by another 9 percent. The export share of the German automation and robotics industry was at 60 percent, according to the VDMA (German Mechanical Engineering Industry Association). Germany and Taiwan share similar economies – highly innovative, export-driven with a large share of “hidden champions” deeply embedded in the supply chains. The automation industry is a key sector in German-Taiwanese cooperation. The trade volume between Germany and Taiwan is constantly rising. While the exports to Taiwan grew by 2% to an amount of EUR 7.68 billion, the imports from Taiwan to Germany even rose by 12% to EUR 9.58 billion. Therefore, the total trade volume between both countries reached about EUR 17.26 billion in 2017. According to the Federal Statistical Office in Germany, the trade volume between Germany and Taiwan amounted to a record EUR 17.26 billion in 2017, at a year-to-year growth rate of 7%. This makes Taiwan Germany’s 5th-largest trade partner in Asia. Likewise, Germany is Taiwan’s largest trade partner in Europe. Germany mainly exports data processing machines, electrical and optical products (EUR 1.85 bn. ), vehicles and vehicle parts (EUR 1.63 bn. ), chemical products (EUR 1.32 bn. ), and machinery (EUR 1.13 bn.) to Taiwan. Together with its high production volume, open trade regime, lack of non-tariff barriers, and straightforward business culture, Germany is a valuable trading partner for the Taiwanese economy. Today, hundreds of German companies have succeeded in Taiwan and many Taiwanese companies have successfully invested in Germany. A lot has been achieved so far and there is a very high potential for cooperation in various industries. For further information, contact Suzie Cheng (Manager Fairs, Events & Delegations) +866 2 8758 5824 cheng.suzie@taiwan.ahk.de.